Eighteenth Match of vivo IPL 12 will be played between Chennai Super Kings Vs Kings XI Punjab at MA. Chidambaram Stadium, Chennai on Saturday. IPL 2019 season now nearly one third of the way to end. So, CSK after winning their first three match lost their last match against MI. On the other hand, KXIP look balanced this season and Have a better strategic to push for a place in the qualifiers. 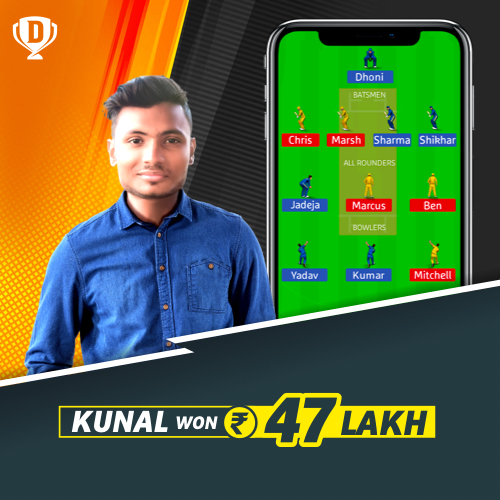 We Will Provide CSK Vs KXIP Preview Along With Fantasy Cricket Picks that Will Help You In IPL Fantasy League 2019. We Already Made some prediction prior to the start of IPL 2019 About Chennai Super Kings that can have impact. It Is To Note that Chennai Super Kings is one the most successful team, whereas Kings XI Punjab have the worst all time record in IPL History. But this season they look more balanced. As CSK Have managed to won 93 matches out of 152. Whereas, KXIP have managed to won 79 out of 166. Since CSK Vs KXIP 18th T20 Match of IPL 2019 Will be played at MA. Chidambaram Stadium so incase we consider CSK Vs KXIP Head To Head Record at MA. Chidambaram its been clearly seen that Chennai Super Kings have the 2nd highest win rate as 33 out of 43 at home. Moreover, CSK jave won 3 matches out of 5 at this venue against KXIP. CSK Vs KXIP IPL 2019 18th T20 will be played at MA. Chidambaram Stadium, Chennai. The pitch here is always known to be a batting friendly pitch with some Lateral help for Both Spinners and fast bowlers. Chennai Super Kings Record at MA. Chidambaram Stadium has been very good with 2nd highest win rate of all current franchises. Chennai’s pitch is likely to spinner paradise as we saw in the first match of this season between Chennai Suoer Kings and Royal Challengers Bangalore. So, Both the teams may try to tinker their bowling department to add an extra spin option. However, Dhoni don’t like to tinker too much with his team But KXIP might change their team combination. David Willey has been ruled out from their squad due to some personal reason. Moreover, the New Zealand pacer Scott Kuggliegen come in replacement of injured Lungi Nigdi for the remaining season. And Dwayne Bravo developed hamstring injury in the last match so he will not play. Chris Gayle can come back in playing 11. They Can Also Bring Varun Chakarvarthy in playing11.